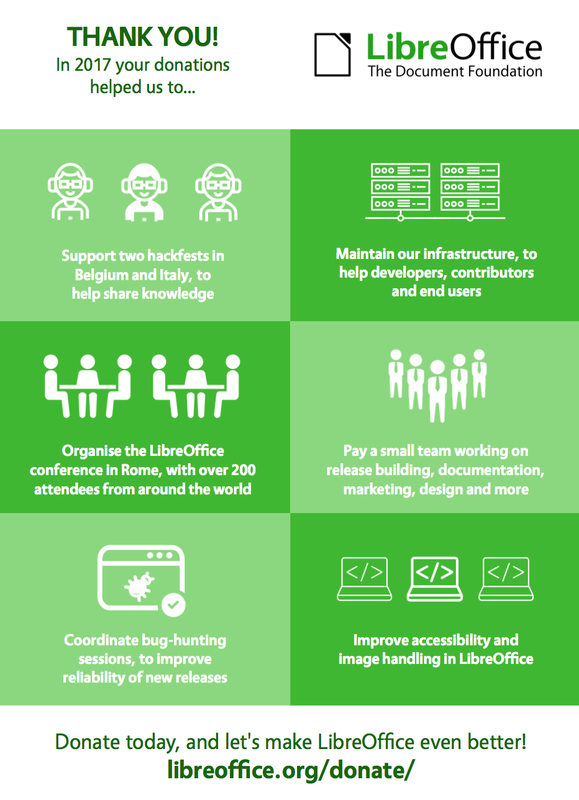 Donations to The Document Foundation help us to support the LibreOffice project and community, in terms of events, infrastructure, knowledge-sharing and more. For instance, this image shows how donations were put to good use in 2017. …and more. So if you have some cryptocurrency and want to help the LibreOffice project, we appreciate your support! There must be $NANO. I would like to donate with it! You can donate with Nano! It’s in the list above – go here to donate: https://coingate.com/pay/thedocumentfoundation – choose your amount, click Checkout and then More currencies. Thanks!